There is no question how prebooking can dramatically improve your productivity rate, first and existing client retention rates, frequency of client visit, and overall service and retail revenues. However, there is a question as to why so many salons and spas struggle to achieve the prebook rates they are capable of. Prebook systems are poorly defined leaving prebook to chance. Service providers and front desk staff are insufficiently trained, coached and monitored. Service providers and front desk staff are not working seamlessly to ensure that every client receives prebook guidance and executes the prebook at checkout. FACT: Prebooking is a team sport. Many service providers regard prebooking with the same indifference as retail. To them, prebooking is “selling” and they want nothing to do with it. The dilemma at salons and spas is how all the “teamwork” talk grinds to a halt when it comes to shared ownership to achieve the company’s monthly and annual revenue goals. The fundamental essence of teamwork is a united effort to win. Teamwork is about igniting the energy and passion of all team members into a formidable force that’s capable of achieving far more than working independently. The challenge: The vast majority of salons and spas set individual weekly/monthly service and retail goals for service providers. The “company goal” is rarely or never shared, if known at all. The outcome: When the workday begins, each service provider is focused on his or her individual goal because no company goal exists. Total salon/spa revenue is simply the sum total of individual performance. RUMORS of the death of the Professional Beauty Industry are not only greatly exaggerated — they are 100% FALSE. Our industry has changed a lot since I graduated beauty school in 1970. The wash and set gave way to precision haircutting and the blow dry. The “Unisex” salon damn near killed off barbershops whose resurgence in recent years is nothing short of amazing. The term “and Day Spa” became a common extension to a salon’s name. Product diversion came and never went away. There are owners and service providers that still don’t report all cash sales and tip income on their tax returns. Global consumer conglomerates now own all but a few professional product companies. 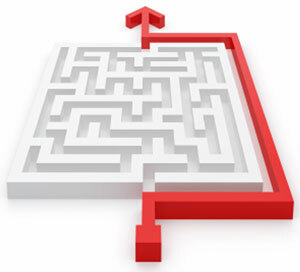 Distributor acquisition and consolidation is like trying to follow pieces on a chessboard. The Internet and social media pretty much changed everything, from how salons/spas operate, promote and educate themselves to how they interact with clients. States want to abolish professional licensing. The “Tip-Tax Credit” for salons/spas has yet to become law. Who could have predicted that your customers would be buying the same professional products you sell, on Amazon? In last week’s Monday Morning Wake-Up I stressed the importance of Financial Literacy training for employees. 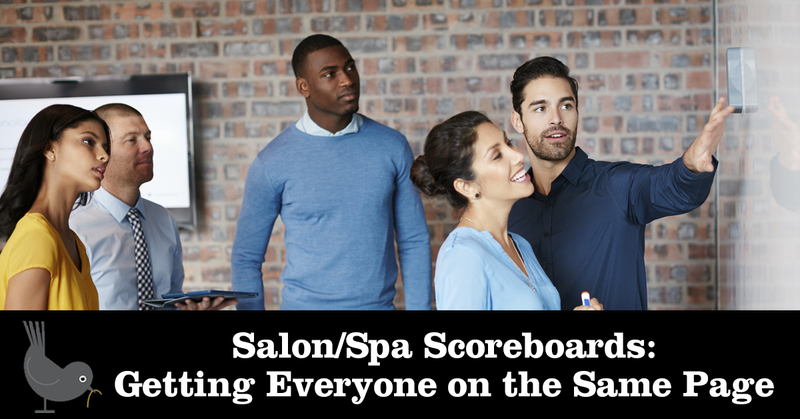 This week, I want to stress the importance of focusing on the total salon/spa goal and keeping team engagement high through scoreboards and huddles. FACT #1: If you want teamwork and team culture, leaders must unite employees around the salon/spa service and retail goal. Because that’s the goal that covers payroll, pays the bills and provides growth opportunity for all. And yes, profit too. The challenge of delivering consistently high levels of customer loyalty and retention is the subjective nature of exactly what customer loyalty is and looks like. What one customer regards as quality service may be completely different to another. At salons and spas, that same subjectivity exists with employees. Owners and managers must define, communicate and train all employees to deliver customer experiences to maximize the loyalty factor as the salon/spa envisions it. Without this absolute level of clarity, individual employee interpretations will lead to inconsistent service experiences that compromise customer loyalty. 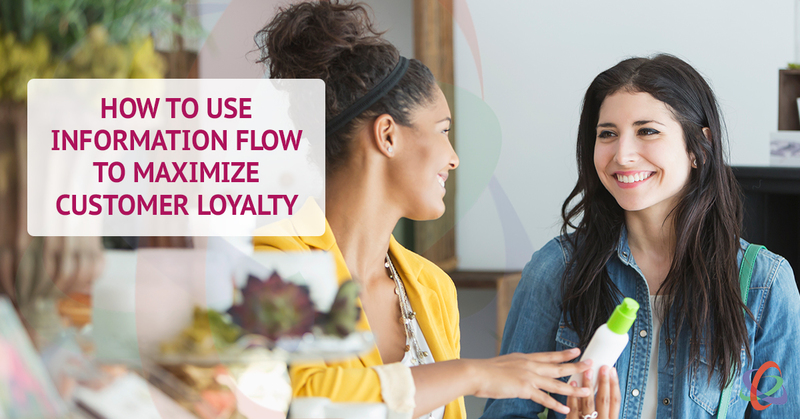 Information-flow systems are vital to keeping your critical numbers for customer loyalty in front of employees. It doesn’t make sense to complain about low customer retention rates if employees can’t see and monitor the same numbers that are frustrating you. At the top of every salon/spa owner’s wish list is, “How do I get everyone on the same page?” The only truly effective way to get everyone on that elusive same page is to have them all looking at that same page … at the same time. For years, I’ve listened to owners say, “Scoreboards and huddles won’t work.” The excuses range from work schedules that are all over the place to an outright fear and/or refusal to share the salon/spa’s true revenue goal for the month. It’s like they want everyone to work really hard together for a goal that’s hidden behind a curtain. Others only want to give individual goals in hopes that it all adds up to a company win. But that’s nothing more than growing columns on the appointment book … not growing a dynamic team-based company. Your business seems stuck and just can’t muster the collective energy to shift into a faster gear. Monthly goals have become a string of near misses. Your team is getting complacent and you know all too well what can happen when average infects your culture. It’s time to shake things up and that’s exactly what you do. You introduce some new and exciting initiatives that you thought your team would embrace with open arms. Instead, you get push back. Push back to growth. Push back to opportunity. Push back to step into the unknown, because known became too comfortable. As kids, we loved to drink Kool-Aid. Just water sweetened with sugar, tart fruit flavors, artificial coloring and absolutely no nutritional value, it was just fun to drink. Maybe that’s why “drink the Kool-Aid” became a metaphor for a group’s shared belief in some intangible thing. If you drink the Kool-Aid, you believe and instantly become a group member. If you don’t drink the Kool-Aid, you’re with the non-believers. Like humans, businesses can have serious health issues too, like being cash starved, burdened with crushing debt, and a toxic culture. I always say, “My heart beats along with my business.” When it’s healthy, profitable and fun, I feel great. When it’s sick, I feel sick. If you’re a business owner, you know exactly what I mean. Some owners are happy when employees just do their job well. Get the work done. Follow the rules. Make clients happy. Don’t waste resources. Be on time. Take initiative within the confines of the “employee box”. This “just do your job well” approach is the traditional owner/manager/supervisor/worker hierarchy where people and groups are ranked according to status or authority. Each group or level places people in a “box” with set levels of authority. There’s nothing wrong with this approach and very successful companies have and will continue to emerge from this most traditional approach. Excellence is a beautiful thing to behold, but what is it? It is that rare state when all things converge flawlessly into a product, service or experience. It is the culmination of innovation, fierce attention to detail, finely honed systems, discipline and accountability to a desired end result. And once achieved, that state of excellence is admired, respected and sought after. This Monday Morning Wake Up is a little departure from my usual rants on leadership and more about sharing a very special project that I’ve spent almost a year building. I’m very proud of the results and hope you appreciate what it took to make my BIG no-compromise project a reality. There are specific milestones in our lives when vision, determination, ambition, self-confidence and opportunity collide in ways that explode all the fears and obstacles that seemingly lay before you. These are the transformative moments when you step willingly into the unknown and take responsibility for your own success. It’s like driving to a destination with nothing but green lights before you. You become so positively charged that you overcome and break through the negative resistance that accompanies all bold journeys. And when you encounter the inevitable setbacks, you simply push harder until you’re back on your intended course. I was boarding a 20-seat commuter plane with six other passengers. We took our assigned seats, most of which were toward the front of the plane. Just before the captain started up the engines, he came into the cabin and asked a few of us to take seats further to the rear. “We need to balance out the plane,” he explained. Given the explanation, I was happy to move to an aft seat. In the process, I found it interesting how immune we frequent flyers on commercial jets have become to flight dynamics. I know I never give it a thought. Every leader has a story of that “perfect team” of people. The stories are always about a shared passion to achieve the near impossible – to overcome all obstacles. There’s camaraderie, mutual support and knowing that everyone has your back. And then there’s that sprinkle of magic that gives each and every team member the belief that, together, they are unstoppable. But gradually over time, members of the team move on and replacements are brought in. The legacy of greatness remains, but that magic and electricity is different … or else absent entirely. In many ways, the work of leadership is the work of controlling chaos. It’s a given that change is relentless, but to embrace change is to embrace chaos. Likewise, if you resist and avoid change, you feed chaos, because holding on to status quo is unsustainable, short-term thinking, as current strategies and systems will wither over time. It’s also a given that problems will occur, equipment will break, seemingly good decisions will backfire, and employees will come and go. For this discussion, I’m simply going to define chaos as a state of varying degrees of disorder and confusion. In football, a “blown play” occurs when the original planned play fails to execute properly. The business equivalent of a “blown play” is when a system or procedure designed to create a specific outcome fails to come about the way it was planned. On the surface, blown plays are the result of inadequate training, preparation and communication. Go a little deeper and things like weak leadership, fragmented company culture and employee indifference add to the frequency and likelihood of blown plays. At Strategies, every aspect of our business training and coaching is focused on what we call The Four Business Outcomes: productivity, profitability, staff retention and customer loyalty. Business success, and your success as a leader, is defined not only by the proficiency and mastery of each outcome, but by how equally you balance and synchronize The Four Business Outcomes. Think of each Outcome as one of the four powerful jet engines on a Boeing 747. Maximum efficiency and thrust to lift the 875,000 pound jetliner with over 500 passengers and cargo requires all four engines to be in sync. Should one engine underperform or fail, the performance and safety of the entire jetliner is compromised. The best-of-the-best are committed to doing the “work” of business. They don’t avoid the stuff they don’t like or the tough stuff that defines a leader’s determination to win. Just like profitability, success is an outcome. Leaders and companies that master the disciplines of success stand out from their competition. Just as every leader understands the cost of employee turnover, they understand the challenges of keeping long-term employees engaged, positive and supportive of change initiatives. New employees are easier to train, coach and mold into your company culture. It’s an entirely different story with long-term employees. Like a marriage, long-term employees have been with you through the good and bad times. They’ve seen it all, and they know your strengths and weaknesses just as well as you know theirs. Consistency is a beautiful thing. It’s what makes great companies truly great. It’s about a company’s commitment to getting it right not just some of the time, but all of the time. Going for consistency means that, as a leader, you are prepared to do what others will not. You are prepared to do whatever it takes and define yourself as a true No-Compromise Leader. What does BUT WE ARE DOING OKAY really mean? If you trace the origin of most business challenges, crises, and missed opportunities, you will undoubtedly discover that most (if not all) were created internally. Someone wasn’t paying attention or being held accountable and the blame game began. Destruction from within has everything to do with behavior and how negative behavior contaminates a business culture. To be a no-compromise leader, you must strengthen, nurture, and protect your business culture from contamination. A truly dynamic entity that embodies the heart and soul of your company. The energy source that not only powers your business, but links all behaviors and thinking to a common purpose. What attracts and retains the best employees. That which rallies the collective energy of the business to achieve breakthrough goals and drive growth. What carries the business through inevitable tough times. What touches customers in that special way that keeps them coming back for more. What communicates the who, what, and why of your business to every employee and the world around it. If winning in business feels so great, why does it take so much work to get people to play the game to win? If getting things done is the only way to make forward progress, why is it so difficult for us to tackle the tasks on our To-Do lists? Procrastination, resistance to change, leadership compromise, lack of clarity, and indifference exist at varying levels in all companies. But when one or more of these detractors gets out of hand, the contamination spreads throughout a company’s culture, wins turn to losses, and getting anything done becomes a struggle. Call it a blessing or a curse that owners can walk into their companies and instantaneously – like some futuristic omnidirectional science probe – identify a hit list of issues that need fixing NOW. They see items where they shouldn’t be, employees doing what they shouldn’t be doing, clients waiting for attention, and dirt that is clearly invisible to everyone else’s eyes but their own. While some owners truly believe that they possess supernatural 360˚ vision, most simply wish that others could see obvious issues and take action without being told. Growing a great company has nothing to do with luck. It has to do with your leadership ability to surround yourself with the best players; to innovate, execute, and make good decisions; and to manage cash while capitalizing on opportunities. Throw in a healthy dose of accountability and being the best just may be within your reach. And if you do become the best, you’ll quickly discover that it takes just as much hard work to stay at the top of the game as it did to get there in the first place. There is nothing more common in business than launching a new project or change initiative. That’s how companies strive to remain competitive and adapt to changing market conditions. It’s how companies tweak current systems and build new ones to improve productivity and maximize resources. New projects and change initiatives must occur for a company to remain vital and relevant. 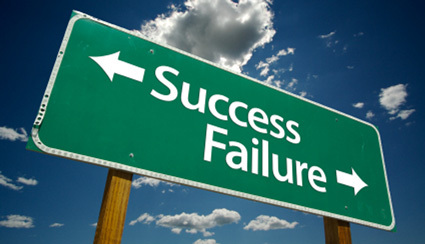 However, the other most common occurrence in business is the number of new projects and change initiatives that fail. Leaders have a unique ability to see what they want to see in their companies. They see their people working away yet never see the mounting frustration their approach to leadership is causing. As a result, trust erodes. Fiercely loyal employees begin to lose hope. Contamination spreads through the company’s culture. In coaching, the most difficult task of all is getting a leader to see that he or she is the root cause of what ails the company. When you admire a great company, you’re actually admiring the collective work of the people that made it great. Your responsibility as the leader is to establish where the company is going (vision/goals) and do everything in your power to help your people get there (coaching/training/mentoring/inspiring). Growing a company is about building something so extraordinary that it attracts the hearts and minds of like-minded individuals to join your quest. It’s about growing a company. What are you going to differently in your business next year? It’s a simple — yet extremely sobering — question. Can your business, family and staff survive and thrive if you continue status quo? Or, are you ready to really drive the business forward? What’s your plan for growth? Even if this year was wildly-successful for your salon or spa, if you don’t shake things up and fine-tune your thinking, systems and/or culture, there’s a strong chance you won’t see much additional growth in the year to come. Where will growth come from in your business? Is it waiting for you right now? Are there areas in your company where you see inefficiency and potential for improvement? Get your plan in place NOW to start producing revenues from these target areas. Does your team know how to get there? It’s a simple question. Does anyone besides you, the leader, know where you plan to take the company next year? And if so, do they know how? Do YOU know? Communication is the key to success. Plan your attack, get it down on paper, and then relentlessly communicate that mission to your team. Get them involved in drawing the roadmap. The more they are involved, the more motivated they will be to reach the desired destination. Who will lead the way? Great communication starts with a great leader. You own the vision of where you want to take your company. You stand at the helm of this exciting adventure. Great companies are built around great leaders. Hold yourself and your team accountable. Cheer their successes and guide them through their shortfalls. Be the leader your company needs you to be. Where will growth come from? We touched on this point earlier but it bears repeating: Where is the untapped revenue in your business? Is it hiding behind inefficiency and poor systems? Or will it come from new opportunities that are yet to be discovered? The growth is waiting for you, the hard part is finding where it’s hidden. Are you doing what you love? It’s a powerful question, isn’t it? Do you come to work everyday with a positive attitude, or does your heart sink when you step through the front door? If it’s the later, you need to find a way to turn things around. As the leader of your company, your attitude and happiness level is infectious. Are you trapped behind the chair when you’d prefer to be working on the business? If so, then start researching ways to transition out from behind the chair (Strategies can help). Do you enjoy leading meetings, tending to the books or doing color applications? If not, it’s time to start exploring how others in your company can start taking on these responsibilities. Perhaps it’s time to hire new staff. Just make sure you it makes sense for the business and the bottom line. In parts one and two of this three-part series, I touched upon the importance of jumping into the social mediasphere, as well as some basic policies and procedures to protect the interests and reputation of your salon or spa’s brand. This week, I’d like to wrap up this discussion by sharing five best practices for salon/spa social media efforts. Just because someone has “liked” or “followed” your social campaign, doesn’t mean they will anxiously read every post/tweet from here to eternity. On the contrary, they will quickly tune out if your message isn’t relavant and concise. Value and Interest: When posting to your blog, Twitter or Facebook, ask yourself if your content adds value and interest to the discussion. Make sure your comment, post or tweet is a valued piece of information. Personality: In the social media realm, you are encouraged to use your own voice and bring your personality to the forefront. The web is a venue that is relaxed, open and diverse — embrace it. A voice that is over-institutionalized and rehearsed can repel your audience. Planning: Putting in place a social media calendar of sorts for the year can help to organize you on how to cross promote your material and the times of year when you know you will have big events and may want to do extra posts. Also think about who on your team would be the best person to handle your social media needs and whether that is one person or multiple people. Make sure you are consistently contributing content. You donʼt want to let your followers down by only posting a couple times a year. Join The Conversation: Listening and responding to your fans/followers through social media sites is just as important as posting information. Make sure you are responding to posts and questions from your followers and fans. Being a part of the conversation already happening about your company shows you care and creates community. Also realize that it isnʼt just about you are saying, it is also about the connections your fans/followers are making to other fans/followers through your site. Be Brief And Link When Possible: Ideally, posts should be very brief, redirecting visitors to content that resides on another site. Whenever possible, link back to the company’s website. Last week, we discussed the importance of jumping in and embracing the enormous promotional potential that the social mediasphere offers. This week, I’ve put together some bullet points to consider when crafting your social media strategy. The following policy statements and guidelines are meant to assist you in your social media efforts, while protecting the interests and reputation of your company’s brand. Respect Copyright And Fair Use: When posting, be mindful of the copyright and intellectual property rights of others. Terms Of Service: Social media sites have their own terms of service. Make sure you obey these terms of service or your account with the site may be suspended. Respect and Ethics: Your company should encourage different viewpoints and opinions, and as a participant in social media, you should too. Be respectful of othersʼ viewpoints. If you disagree and would like to engage in a conversation, do so cordially, logically, and ethically. Accuracy and Honesty: Double check facts and details before you post — remember, once you post, it is out there. If there is a website you used to gather facts, provide the link for your readers to show accountability. Also, always write in the first person. If you make a mistake, admit it. Your followers will be more willing to forgive and forget if you are up front and quick with your correction. Maintain a high level of quality that exhibits superior grammar, punctuation and spelling. Transparency and Disclosure: When posting to your blog, Twitter or Facebook, ask yourself if your content is a valued piece of information. There are millions of people and companies on the web. If you want to stand above the clutter, make sure you provide content that is exciting, engaging and stimulating. Part 1: If you can’t beat ’em, join ’em! 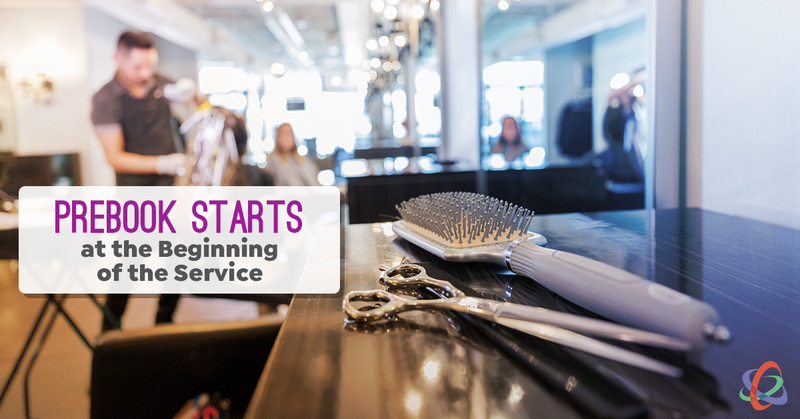 Successful promotions and events play a pivotal role in every salon or spa’s bottom-line health. The added influx of service clients and retail/gift certificate sales — not to mention the often deeper-discounted purchasing opportunities presented by manufacturers and distributors — are simply a “no brainer” to take advantage of. The good news is, most salons and spas do offer promotions throughout the year. The bad news is, many of them are often poorly planned, and do not take full advantage of the opportunities presented to them. But lets get back to the good news. Executing killer promotions in your salon or spa doesn’t have to be daunting. All it takes is some effective and creative planning. What’s your plan? It seems like every year, we’re hit with more and more promotional opportunities: Mother’s Day, Valentine’s Day, Breast Cancer Awareness Month, Back-to-School — these are just the tip of the iceberg. In order to make sure that you and your staff are ready for each promotion, it’s imperative that you get your plan down on paper. You need to define what supplies are needed, who does what and when it needs to be completed. All that information then needs to be transferred to a main promotional calendar that the entire business lives by. Better yet, enter the dates into your computer or smart phone so you get automated reminders! Make a date out of it! Promotions don’t just have to be centered around holidays and distributor/manufacture deals — make them an event! Schedule special dates throughout the year that will appeal to different demographics within your client base. Ladies night, mom’s night, guys’ night, or even a Super Bowl night — get creative and get your staff involved in the planning. Don’t forget to sweat the small stuff: Remember we mentioned how critically important it is to get everything you need for a successful promotion down on paper? Dedicate a quick meeting with your team to brainstorm each and every item needed to ensure upcoming promotions or events are a success. Budget, budget, budget! 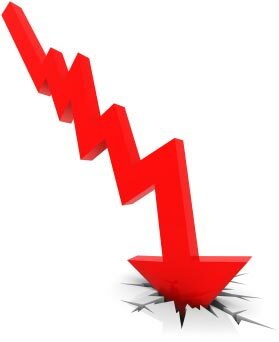 That last thing you want to do it is put time and effort into a promotion or event, only to find out that it actually lost money for your business. Yes, there are times when it does make sense to chalk one up as a “marketing expense”, but at the end of the day, the name of the game is driving increased revenue. With that said, the most critically-important step for any promotion is to plug it into your cash-flow plan to see if the business can afford it — and to forecast how much return you will get on your investment. Who pays for it? Although it can be sore subject, it’s one that needs to be addressed beforehand. If you are on a commission-based compensation structure, your staff needs to be made aware how they are going to be compensated if the business is promoting discounted services. Will their commission be based on the standard full-price (thus costing the business even MORE money to run the promotion) or will they be expected to invest in the promotion by taking a percentage of the lower promotional price. Luckily, if you are using a Team-Based Pay or salary/hourly model, this is a moot point. Get staff involved: One of the best ways to get your team members excited about upcoming promotions is to involve them in the planning process. They’re creative — use that resource! Maintaining a sense of urgency is a management responsibility not to be taken lightly. Complacency can quietly infect even the most successful businesses. It usually begins during a period of smooth sailing, when the “business as usual” mentality sets in, leadership relaxes, and the urgency that previously inspired growth and performance wanes. Personal agendas take a precedence over the business’ goals and needs. The team loses focus. 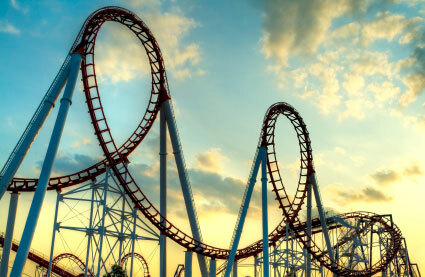 Leading a company in these crazy economic times is like riding a roller coaster complete with exhilarating highs and hang-on-for-your-life lows. There are even moments when you realize that there are things going on in your company that are out of your control. The larger your company, the more moving parts it has that can break down, shut down or spin out of control. Those moving parts that don’t function according to plan are called problems. And the dirty little secret about problems is that they never cooperate or help you out by fixing themselves. You cannot argue with the numbers. From a technical standpoint, the beauty industry offers consumers extraordinary levels of skill and expertise. From a customer service and True Quality standpoint, salons and spas score poorly. 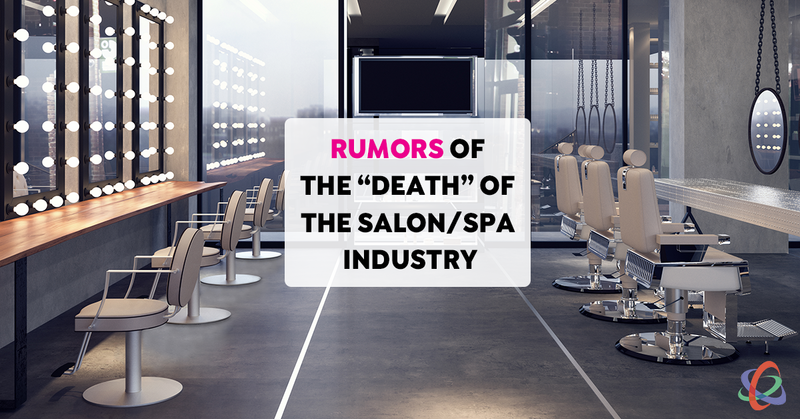 No matter how badly you want to refute this assessment, it is impossible to argue with industry-wide numbers that show salons and spas are not retaining seven of ten first-time clients. Interestingly, poor retention remains consistent from value-priced salons right up to upscale, service-intensive day spas. On average, only three percent of owners know their retention rate. Half of these confuse request rate with retention rate — they are not the same. Most have no means to track retention. Even those with point-of-sale computer systems often realize their software doesn’t track retention properly, if at all. As business owners, leaders and managers, we often feel like we’re stunk in a constant cycle of repeating the same message over and over and over again. This can feel like pounding your head against a brick wall, followed by the “why don’t they get it?” question. But salon and spa communication doesn’t have to be painful! Let’s bandage up your forehead and help you break out of this cycle. Stop the blame game. “They” is never a good word when referring to a team. Try “us”, which includes you. Take a hard look at your communication style and how it might be improved. As the leader of your company the responsibility of getting a message communicated falls squarely on your shoulders. You must be certain that the information you are sending is easy for all to understand. If not, use this as an opportunity to educate your team on the areas you are looking to address. For example: Perhaps the reason they are not responding to your requests to “drive the numbers” is because they simply don’t know anything about how numbers work in a salon or spa. Embrace this opportunity to educate and excite them! Individualize the process. Each member of your team processes information differently. You must do your best to discover the “language” that each team member utilizes and speak to their differences. Speak French to me and you’d lose me after “bonjour.” Are you speaking French to a team member who only understands Portuguese? Some team members may be more visual and need to have something to see, in addition to verbal instructions. RELATED: Check out this article on Discovering Your Best Leadership Voice in the salon/spa. It ties in wonderfully with knowing how to individualize your communication process. Keep communication in both directions. Does your team know your preferred methods of communication? Make sure they know how you like to receive your information. Let them know under what circumstances e-mail is better than voicemail, or a text better than an e-mail. Make it personal. Does your team know how the information you are giving them impacts them on an individual basis? If they don’t feel a sense of urgency and responsibility, you are not really communicating. For example, if you say that there’s an urgency to increase revenue and they do not understand the benefit and/or risk to them, it’s simply blah, blah, blah — words with little meaning. Find the means and opportunities to make each message have a personal tie-in for every team member and watch how quickly the light bulbs go off. Attach communication to accountability. If you get on your high horse regarding specific duties not being done, yet there is not a level of accountability or follow up, your message is not being heard. Make sure that employees understand who is responsible for what and how they will be evaluated. Create systems so that you are not continually reinventing the wheel. Then preach accountability regularly. It’s a never-ending process. From the time we first tried to wheedle a later bedtime from our folks, we’ve all been negotiating in one way or another. Salon, spa and medspa owners and managers do a lot of negotiating — with employees, customers, vendors, landlords, family members, other businesses — well, you get the picture. Life may not be a cabaret, but it certainly can feel like one negotiation after another. While not every negotiation is about closing a big deal, similar techniques apply, whether an employee wants an extra day off or you’re working on a multi-year lease. Everybody wants something. That’s what gives each of us leverage in a negotiation. Knowing not just what you want, but what the other person wants, helps both parties reach a mutual understanding. Clarify goals; don’t make assumptions. Try to understand the other person’s mindset. It’s sometimes not enough just to know that Mary wants Saturday off. It’s often important to understand the “why” behind the “what.” There’s often more to the situation than what’s visible. Ask questions to uncover what might be going on behind a request. Walk a mile (or at least around the block) in the other person’s shoes. Two people may want the same outcome but have different motivations. You’ll be a better negotiator if you take the extra time to understand why someone wants what he or she does. Think win-win. Negotiation implies a winner and a loser. When you reframe that to “give a little, get a little,” you might get exactly what you need to get, while the other person (not your “opponent”) also gets what he or she needs. Try to leave all parties feeling good, even when certain aspects of a negotiation don’t go their way. Help the other person see why you’re making the decisions you are. Make it a positive experience all around. Watch your body language and tone of voice. Don’t be stubborn for the sake of being stubborn. Sometimes we just dig in our heels and forget to listen to what’s being said. It’s not a sign of weakness to change your mind if a well-reasoned argument is made, or if you decide something simply isn’t that crucial. Knowing when to bend is the sign of an experienced leader. Of course, it’s all right to stand your ground, too. Just remember, though, ceding on a small point will often get you the majority of what you want. I am a big baseball fan. One of the reasons why is because of the great lessons the game teaches us. For example, when a team isn’t playing well for an extended period of time, the manager focuses on the fundamentals of the game. These are the basics such as batting, fielding and throwing. He doesn’t try to get them to do fancier plays or hit only homeruns because that usually makes matters worse. Without the essentials, the great plays don’t happen with consistency, and homeruns, if they occur, can be meaningless. It’s the fundamentals that win games. You’d never open a salon without the proper tools — state-of-the-art scissors, top-of-the-line blow dryers and, of course, fabulous, effective products. Similarly, no one would try to run a spa without massage tables, pedi chairs and wonderful scrubs and lotions. Unfortunately, many owners do try to run their salons and spas without the proper business tools needed to be profitable and successful. Many salons and spas struggle with cash-flow and figuring out what’s coming in (and going out). Without a clear financial picture, it’s impossible to plan for steady growth, as expenses always pop up. Many owners (maybe even you) start using their personal credit cards to pay the bills — even to cover payroll. It’s impossible to build a strong business without a realistic cash-flow plan. Several years ago, the bulk of my marketing responsibilities at Strategies involved print ads and direct mail. But in a seeming blink of an eye, those traditional marketing avenues have all but dried up — in every industry. The launch pad for the selling process has relocated from the mailbox to the computer screen. People are relying on the Internet more than ever to make their buying decisions. The challenge is how to grab the attention of both potential clients and the search engines they’re searching with. One of the most important elements in getting found online is the ability to consistently publish new and relevant content. Just like you and me, search engines like new stuff! One of the most effective ways to pump new content onto your site is through blogging. Seasonal styles and trends: Is your staff trained on the latest techniques? Great! Showcase these trends to your clients. Whether it’s a cut, color, manicure or quick-and-easy style, the more expertise you display about the latest trends, the greater the chances potential clients will make their appointments with your business. Product spotlights: Have a product that’s flying off the shelves? When products are popular, buyers are looking for them online. Share your professional insights on the hottest sellers to drive traffic to your site. Team profiles: You’ve got a great team, so talk them up! What are their areas of expertise? What awards have they won? What new classes have they taken? Why do they love working at your salon or spa? Don’t forget about your non-technical team members. Tell the world why you think you have the greatest guest-services staff. Special events: Whether it’s a cut-a-thon, guy’s night, breast cancer awareness event or a fashion show, events are prime marketing opportunities. Let potential clients know that your business is about more than just hair and massages; it’s about giving back and having fun. 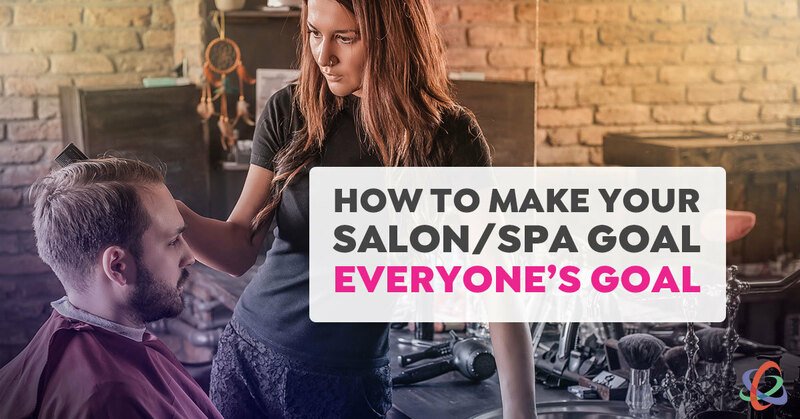 How to get the most out of a salon/spa service: Help take the guesswork out of what a client should expect from their service by educating them on the lingo, etiquette and options available. Is your salon or spa culture delivering happiness? I am a huge fan of shoes and an even bigger fan of Zappos.com. Therefore, it’s hard to believe that it took me until two weeks ago to read Delivering Happiness by Tony Hsieh, CEO of Zappos. I’m in the process of hiring a slew of new employees and figured that now was a good time to review ways to keep my culture strong and vibrant in the midst of change. Boy, did I not know how it would affect my company in the following week! I hear this all the time. Owners feel consumed by their businesses. But finding balance between your business and your personal life is necessary to avoid burnout. When you need to handle every aspect of your business, there will only be one outcome: exhaustion! First, divide your company into departments. Think marketing, education, human resources, hair, spa, medspa, customer service, staff retention, budgets, etc. Now, assign a person in each department to be the department head. 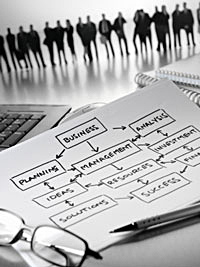 Work with your department heads to develop systems for every area of your business. Think about the most common services and situations. Ask department heads to solicit input from all staff, so there’s buy-in from the start and a sense of inclusion. Have department heads write down the steps involved with each system. After reviewing them and making necessary changes, include the processes in one place, such as a binder. Now you have a how-to manual for every area of your company. Work with your key staff to ensure team members are properly trained on each system. (You may want to develop skill certification for primary skill areas. Strategies can help you with this.) The end result? You can take time off knowing that your systems will guarantee impressive customer experiences and the business will operate efficiently. A friend and fellow entrepreneur once told me when it comes to going to a salon, it’s important that the stylist get the cut and/or color right every time. If you don’t get that part down, you can forget about everything else. However, when you consistently get the cut and/or color right, then it becomes about everything else, the experience.